The newly launched 833 Bowland Explorer bus service provides walkers with car-free access to the heart of the Forest of Bowland. 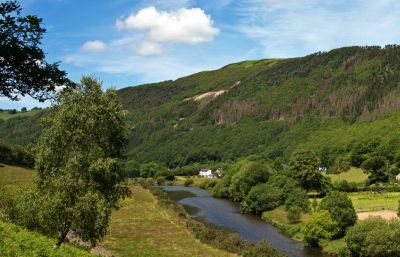 Mark Sutcliffe, former editor of Country Walking, gives you the lowdown on how to make the most of this stunning region and fantastic new service. Have you tried out our new walk lists option yet? 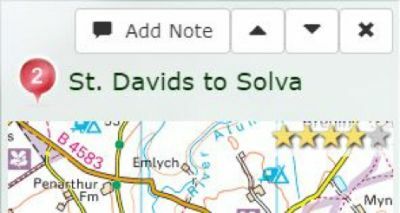 This enables you to put together a list of routes – top five favourites, ideas for a long weekend, a long-distance path – to share with others. You can add photos to personalise each list, and share them easily via social media. Part of the idea behind this new feature is to encourage people to consider slow travel and take more time to explore an area. Why not create a list to inspire people to enjoy your favourite part of the UK? For the latest prize draw, three lucky winners will be offered a book of their choice from Cicerone's range of nearly 350 guidebooks to walking, trekking, climbing, mountaineering and cycling. To enter, register (if you haven't already), then submit a walk and follow the steps to add your route to the database. We will pick out the lucky winners at the start of October 2017 – and don't forget that you can submit as many walks as you like for more chances to win. It’s been busy on the blog these past few months. 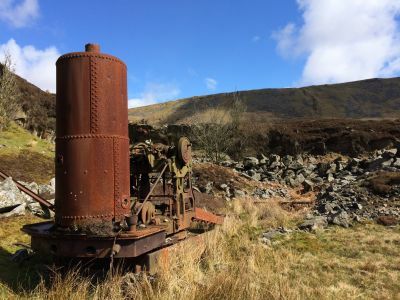 For those of you with four-legged walkers in tow, Jess Sheldon prepared a superb guide to walking in Northumberland, while Maurice Kyle shared all you need to know about walking in the Vale of Rheidol in mid Wales. And after a return to Corrour, the spiritual home of car-free walking in the spring, we tried out the Haytor Hoppa bus service in Dartmoor. The next newsletter will be out in November(ish). Please send us any news and until then, happy walking!